The Appalachian Trail is the longest hiking-only footpath in the world and includes a moderate 9.5-mile hike through the Lebanon Valley. 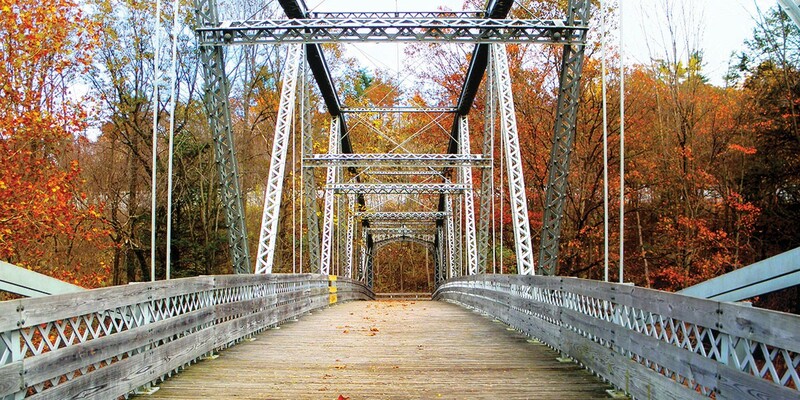 Find parking at Swatara State Park and set off over the Swatara Creek across the historic Waterville Bridge. A lenticular truss bridge built in 1890 then relocated to its current home in 1985 and listed on the National Register of Historic Places in 1988.